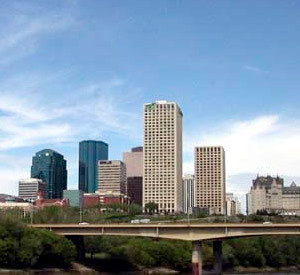 Since 1997, Edmonton residents have trusted AutoNet Financial. As a leading provider of auto financing in the greater Edmonton area, AutoNet Financial can help you get a competitive finance rate from a local new or used car dealer, regardless of your past credit. If you are currently doing some research on bad credit car loans Edmonton, chances are good that you have faced many of the same issues that more than 10% of consumers in Edmonton are currently experiencing that leave you with less than perfect credit. We are often asked by residents across Canada why they shouldn't just jump in their current car (or, in many cases, hop on the bus) and drive out to shop for a car instead of applying for a bad credit car loan. This answer to this question really depends on your credit history. The truth about bad credit car loans Edmonton is that there are fewer and fewer consumers with "perfect credit" in the current economy. In that regard, you shouldn't approach the car buying process thinking that you can't get approved for a new or used car loan with a poor credit score that includes bad credit or a bankruptcy. Most bad credit car loan programs offer competitive interest rates and a common sense qualification process. If you have less than perfect credit, however, you may want to hold off driving around Canada. Here's why: the Edmonton bad credit car loans buying process is much different. And just as the bad credit buying process is different, so is the dealer that can help you with a bad credit car loan. The fact is that many Canadian car dealers choose not to deal with subprime lenders. Bad credit car loan applications require more effort than regular loans in the sense that dealers are responsible for more documentation and for making sure that the documentation is correct as well as verifiable. If anything goes wrong in the documentation process, the contract is sent back to the dealer and the dealer holds the contract for the car. This means the dealer must collect the monthly payments from the customer and dealers do not want to do this. AutoNet Financial can match you with bad credit car loans even if you have a history of bad credit, poor credit or bankruptcy. Often, these loans are available with no down payment. We have helped thousands of people in Edmonton with bad, blemished, bruised and tarnished credit buy cars and reestablish their credit at the same time. We also have a network of affiliate dealers that specialize in bad credit car loans in all of Canada. AutoNet Financial can match you with car dealerships that offer bad credit auto loans in a number areas in the U.S. and Canada. We can locate dealers in Utah, York, California, Buffalo Grove, Illinois, and so many other areas with each one having a history of supplying poor credit financing options.